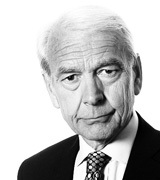 John Humphrys - Students : What Should They Pay for their Degrees? February 20, 2018, 10:19 a.m. There was a time when the financing of universities and what students should pay to attend them were among the dullest issues in politics. Not any more. Over the last decade or so, student finance has become one of the hottest of hot political potatoes. On Monday, the Prime Minister announced a review she hopes will take the sting out of an issue that many people believe helped cost her party its majority at the last election. So who should pay for the young to go to university? It was all so simple for baby-boomers. Back in the 60s and 70s only a small minority of teenagers took up places at universities. The government paid the bill and provided maintenance grants to cover their living expenses while they were studying. All this set them up for a life in which they’d be likely to earn far more than most of those who did not have degrees. The fact that taxpayers were paying for this privilege was justified on the grounds that having a cohort of smart graduates was good for the country as a whole because they contributed so much to the economy. Nobody much complained. But everything changed when it was realised that our rapidly changing economy needed far more graduates than this system provided. During the 80s and 90s the target of around 50% of young people going to university was established. The question it threw up was: how should this be paid for? Given the constraints on public spending, and the growing sense that it was unfair for poorer non-graduates to go on subsidising students who’d end up earning far more money, it was felt that the taxpayer should no longer go on footing the entire bill. The solution that emerged was tuition fees. Students would pay for the cost of their university education themselves but the government would supply loans so that they would not have to fund the bill upfront. Once they had graduated they would start to pay off their loans – but, crucially, not until their earnings had reached a certain level. Any outstanding loans would eventually be written off. Those who ended up benefiting financially from their degrees would pay for their university education but the taxpayer would ultimately pay the cost of some or all of the education of those who did not earn enough to do so. It seemed to many a fair solution. But it was always politically contentious, not least because it introduced a new source of potential grievance: student debt. Even though it has turned out that around 80% of students do not repay the whole of their debt and around 40% repay none of it, opposition politicians in all parties have seen the opportunity to win votes by claiming that the whole system of tuition fees and student loans is unjust. It had been Tony Blair’s Labour government that really got the system running. In opposition (before the 2005 election), the Conservatives said they would scrap tuition fees. They changed their minds before the 2010 election when it was the Liberal Democrats who sought to champion students by opposing any increase in the fees. But when they joined the Tories in coalition they performed a complete volte-face and agreed to substantial increases, a move seen by many as a betrayal from which the party has still not recovered. It is the changes to the system that the coalition government brought about which have caused student finance once again to become a burning political issue. The coalition lifted the cap on tuition fees from £3,000 a year, hoping that a wide variety of courses at different costs would emerge in the university marketplace, with a maximum limit of what has since become £9,250 a year. What has happened, though, is that almost all universities have chosen to charge almost all their courses at the maximum rate in order to boost their income. Furthermore, the Conservative government abolished maintenance grants in 2015, replacing them with further loans. Students from more affluent families have been able to meet the cost by tapping their parents and grandparents for help with living expenses, but those from poorer backgrounds have had to take out these loans too. On top of that, all loans attract an interest charge of 3% above inflation, making the current interest charge 6.1%. As a result, most students incur interest charges of £5,400 even while they are still studying and leave university with debts of over £50,000. For those from poorer backgrounds the average is £56,000. One of the main objections to the whole system of fees and loans when it was introduced was that it would deter poorer students from applying to university. In fact this hasn’t happened. Record numbers of students are now at university: 49% of their generation. That is proof, some say, that the system works. But it is the cost and the debt burden that are the real problem, not just for the students but also for politicians seeking the votes of the young. She and her education secretary, Damian Hinds, are setting up a review of the financing of higher education in England to report in a year’s time. It will propose reforms of the system rather than its replacement. In interviews, Mr Hinds gave some indication of what he hopes the panel of reviewers will look at. He said fees ought to reflect three elements: the cost of providing any specific degree course (which clearly varies enormously between subjects); the varying earning potential of different courses to graduates; and the varying benefit to the economy as a whole of these courses. He said the review should look at the interest rate charged (the Treasury Select Committee said at the weekend it should be cut), and he hinted that maintenance grants might be restored for poorer students. He said shorter (and so cheaper) courses should be available and Mrs May also called for greater parity of esteem between university and vocational courses. A more radical attack has come from Lord Adonis, one of Tony Blair’s education secretaries. He argues that the £9,250 fee cap/norm has allowed universities to become ‘bloated’, citing the astronomic salaries of many vice-chancellors and the expansion of university bureaucracy as evidence. There is no reason, he says, why universities should spend twice what schools spend per head on their students and advocates restoring the £3,000 tuition fee cap. But defenders of the universities argue that cutting their income in this way would threaten their status as among the best in the world. Meanwhile Labour is proposing to ditch the whole system by abolishing tuition fees and restoring maintenance grants (though Jeremy Corbyn has rowed back from an earlier idea of paying off existing student debt too). Supporters of his plan cite countries such as Denmark and Germany where there are no tuition fees, but opponents say the policy, costing around £11bn a year is simply unaffordable. They argue too that it is not progressive because it would once again lead to poorer, non-graduate taxpayers subsidising high-income graduates. They ask: why should low-paid manual workers in the north-east subsidise high-earning graduates working in the City of London? This, then, is the debate the Prime Minister has set going this week. What do you think? At a basic level do you support a tuition fee/student loan system or one where the taxpayer pays all the costs of university education? If you back the former, do you think the system should stay as it is or be reformed along the lines the government is exploring? Should tuition fees be varied according to the three criteria Damian Hinds has outlined, or could this have unintended consequences such as his predecessor, Justine Greening, fears? Do you think universities have become ‘bloated’ or not? And do you think it’s right that half of all young people should become university students?